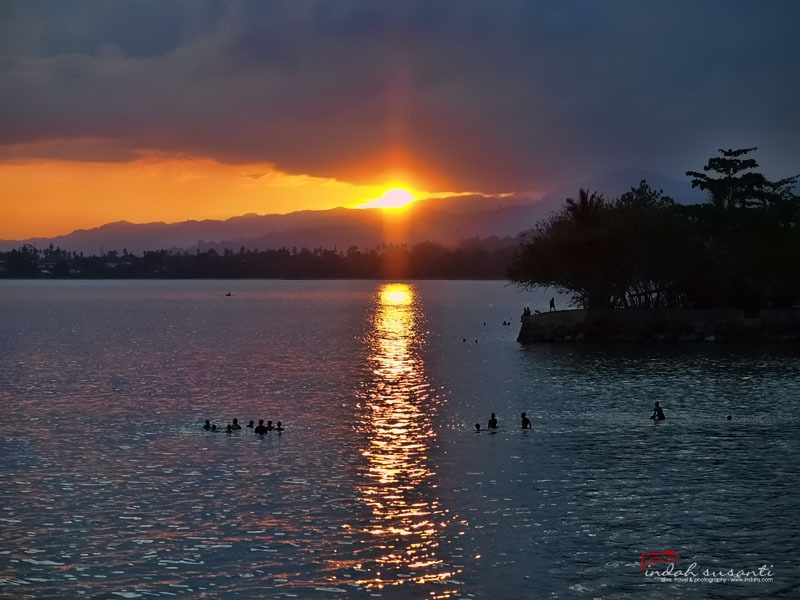 The sunset was beautifully reflected through the sea water of Ambon Bay (Maluku Province, Indonesia). It shone brightly in the dark, accompanied by a faint adhan sound (Islamic call to pray) from a local mosque. A peaceful moment. A peaceful life that lasts forever, a wish of every Ambonese I talked to, would say. No more conflicts, please. We had enough. Ambon had bloody diaries in its history. A conflict occurred in 1999, and it lasted for years and spread throughout the Maluku Province. Religions. Christians versus Muslims. Ethnicity. The Moluccans versus the non-Moluccans. Economic gap. Social issues. Bigotry. Name it, of all possible causes that increase the intensity of a conflict within a plural society. Nearly ten thousand people died, many injured, hundred thousands of homes destroyed, and many had to leave the island. A collapsed island, financially and emotionally. Another almost similar conflict followed ten years later in 2011. The conflict resolved quicker than it had ten years ago. Impressively, after scattered due to harsh conflicts, its economy keeps growing in the past few years. The unemployment in Ambon is at the lowest level in its province. Tourism does contribute to its development progress. The underwater of Ambon is one of the internationally recognized diving spots. I have met scuba divers from Europe and the North America who visited Ambon multiple times just for scuba diving. 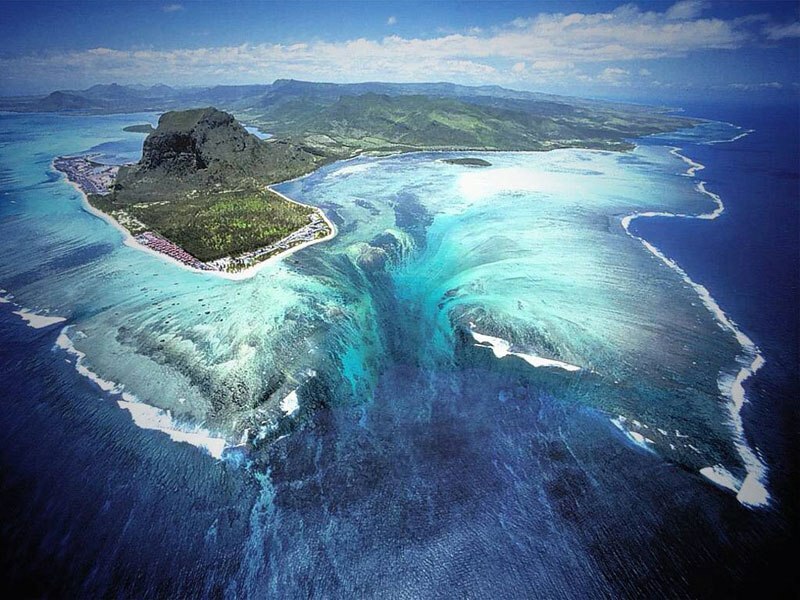 Its underwater is phenomenal, too unique to be missed if you were an avid scuba diver. Besides of scuba diving as part of its tourism, Ambon has at least 35 interesting places around the island that potentially to attract travelers. One of them is located in Waai village, just 30 minutes away from the city. The village is known for its sacred freshwater eels called as Morea. A local legend told that hundreds of years ago, the ancestors of the village threw a holy spear that created a water spring. The water spring called as Waiselaka, becomes a life source of the Waai villagers. Then a giant eel called Morea showed up in the spring, that later believed as the guardian of the water spring. Killing Morea would bring a bad luck. Currently, there are more than one Morea living in the spring together with various freshwater fish. Morea lives inside the holes of the spring water, but they will come out when smelling eggs. It looks like they love eggs and can smell the eggs from a distance. Following is a video of a friendly Morea eels looks for eggs. Ambon still has homework to improve the quality of its tourism to be in the same class as other islands in Indonesia that already known for tourism such as Java, Bali, Lombok, Sumatra, Kalimantan and Sulawesi. Marine debris, unfortunately, is still a common sight on the beaches and the sea water around the island and its neighbor islands. Infrastructure for accommodation and transportation are still ongoing development. Whilst Ambon’s future is promising, let’s hope there will be no more conflicts that could halt its progress. I am so very sad that due to the need for unplanned repairs in Australia that delayed our entry to Indonesia, we were not able to sail to Ambon. The yachties that made it there raved about the place and your images make me understand why. Such a pretty place with such a sad past 😦 Hope it gets better. Lovely pictures Indah! Truly beautiful. 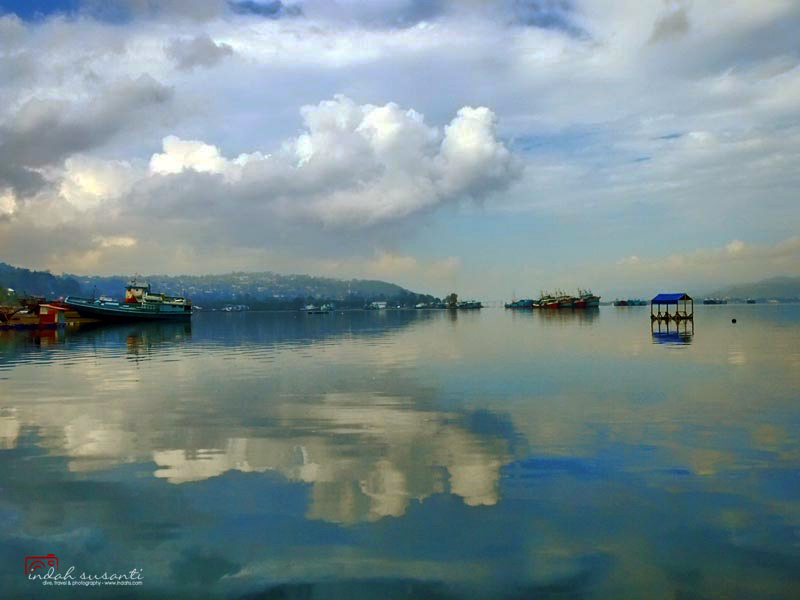 We would definitely love to dive in Ambon. Look at that strange yellow fish! It looks a beautiful place. I took a look at the video too. The water is so amazingly clear (especially at the beginning and at the end)! Indah I am surprised that with all the conflict that the tourism industry has grown so much. Perhaps a bit like Croatia? The video of the Moray Eel is incredible. Seems like he was looking for eggs in the camera! i heard ambon got many beautiful locations to explore. would love to visit one day. Beautiful shots of this area!